Here at Dolomite Mountains, we specialize in creating custom bespoke adventures for the most demanding clientele. We offer both all-inclusive and a-la-carte services – you tell us what you need, and we take care of it for you! Whether you book an all-inclusive itinerary with us, or just need a guide for a day, let us help you make your Dolomites ski holiday the best ever! 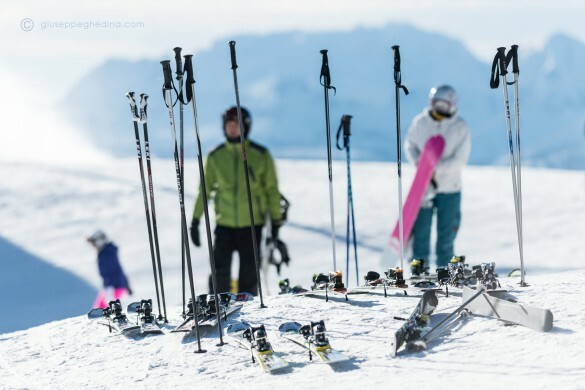 * Off-piste skiing requires safety equipment (avalanche transceiver, shovel, and probe). Equipment rental is available. NOTE: only UIAGM/IFMGA professional ski guides can legally take guests skiing off-piste in the Dolomite Mountains! We can arrange purchase of your Dolomiti Superski Pass in advance of your arrival. For pricing, please provide the exact birth dates of each member in your group, and note any guests 65 and older. Prices vary based on arrival / departure locations. Call for details. A Dolomites Ski Safari with 1 or more nights in a rifugio – click here for more information. Prefer a completely arranged itinerary? Check out our sample itineraries for inspiration, or let us customize a winter holiday just for you!